Welcome to 2011! January has been a rocky month for me, but we are getting awfully close to the start of our season. Time to jump back on the horse. Horsepower, that is. 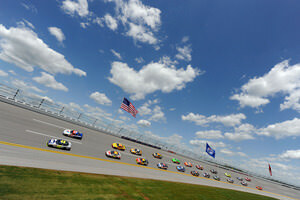 We’ve all been waiting to hear what NASCAR has in store for us for the 2011 season points system. This evening, Brian France held a press conference to fill us in on the details of a simplified and more competitive points system. I had to follow the updates via social media and the internet since out here on the West Coast, I was stuck at work. There is some great commentary, both positive and negative out there. I’m excited for it. I think change (some change. 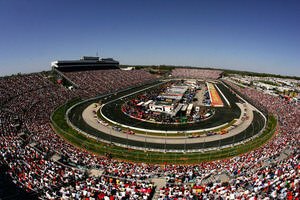 NASCAR, can we have Rockingham back, please?) is good. 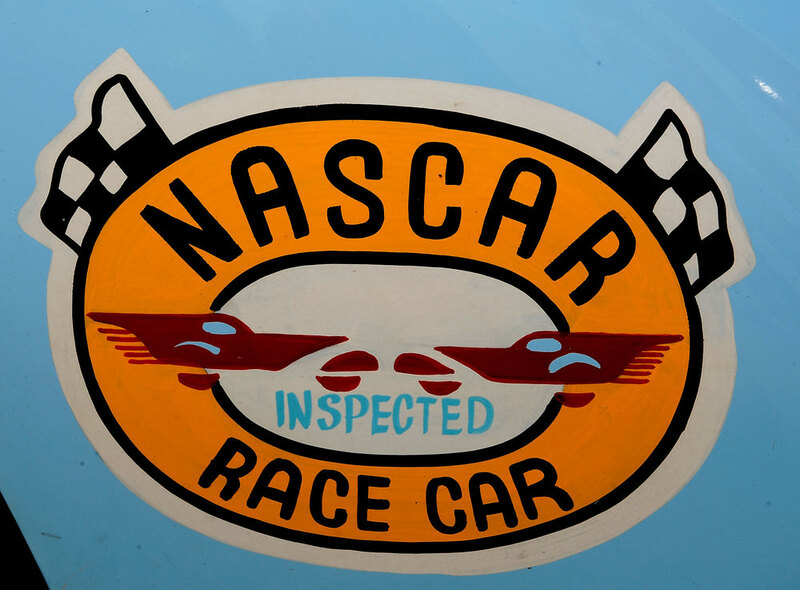 Tonight, I set out to write a little bit about the history of NASCAR’s points systems. I started doing my research and can really sum it up like this: It has never made a whole lot of sense. There. That about covers it. There were different points granted for different types of tracks. Points were awarded based on the purse for each track or for each lap completed. There were different points awarded for top finishers- with some of the field getting no points at all. There was, at one point, four different rule changes regarding the points system in eight years. You could say these systems are nutty, but they were trying their best. A quick glance at NASCAR.com’s NASCAR101 doesn’t show a much better set up for the last three decades. Our most recent points system was created in 1975 by a fellow by the name of Rob Latford. A historian and a statistician, he created a system that would offer uniform points to drivers relative to how they finished up a race. So, 35 years later. Here we go again! This one actually seems simple enough to explain. Phew! Let’s see. 1975? 35 years ago. What was going on? In 1975 Dale Earnhardt first intimidated the field. Well, he finished 22nd in the one race he ran. 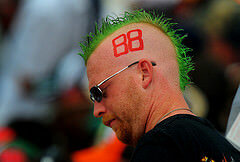 But there he was at Charlotte Motor Speedway, driving the #8 Dodge. And heck, we all know what was coming. Richard Petty won his 6th Championship. Marty Robbins, country western star, raced in two races that year. Can you imagine Garth Brooks out in a car? 1975 not only brought a uniform approach to the points but it also brought a more balanced field. All engines were required to be the same size and the conflicts that had been caused by the introduction of the Hemi engines had been settled. Engine sizes were restricted and Chevrolet was a competitive factor again. Of course, the teams no longer had direct factory support, so the cost of running a team was escalating each year. Holman-Moody, Banjo Mathews, Cotton Owens and Ray Fox all shut down their teams. Interestingly, in an effort to hep teams survive, Goodyear awarded tires to teams based on their qualifying efforts. This week, we also heard from Fox Sports Chairman, David Hill who said that the races should be shorter to better fit television ratings. In 1975, ABC expanded their NASCAR coverage to include live broadcasts of the Daytona 500 and the Atlanta 500 and delayed broadcasts of the Mason-Dixon 500 (Dover), the Firecracker 400 and the Southern 500. CBS would air the Winston 500 (Talldega) and the World 600 (Charlotte) a week after they ran the races. CBS also aired the Champion Spark Plug 400 (Michigan) and the Dixie 500 (Atlanta). A total of ten races were aired on television. The fact that television was willing to expand their coverage so rapidly was a reflection on the growing awareness and interest in the sport. Something that I sort of think that the tv execs might be missing today. So here we go kids! We only have about two more weeks to go. I for one, can’t wait, no matter how many points they give em. 25.06.2013 4ever3 Comments Off on A quick goodbye to 2010!